The role of the on-site Pharmacy at Highgate Private Hospital is to care for patients by dispensing any medicines you may need and providing information and advice about those medicines. Our Pharmacy is staffed by a friendly team of qualified pharmacists, who are dedicated to providing a comprehensive pharmaceutical service to inpatients, outpatients, staff and consultants at the hospital. A dispensing service is provided to all inpatients during the hospital stay from admission to discharge. If you take any other medication, you should be able to continue taking this yourself during your stay. Please bring all your medicines with you in their original packaging/bottle and we will make sure that they are safe for you to carry on taking. If you need to take any medication following your departure, this will be given to you when you leave. We offer competitive prices for private prescription dispensing. This service is provided for patients attending an outpatient clinic at Highgate Hospital. 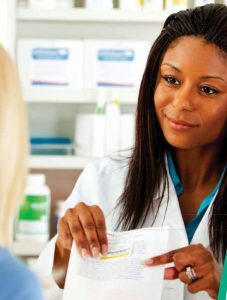 Our pharmacy is also able to dispense private prescriptions written by doctors from other private clinics or hospitals.